Welcoming back Jim Shimberg, Alain Comeau, Lindsey Fixmer & Bob Baribeau! Morning folks! We want to welcome back a handful of guest guides this morning who are legendarily known to be amazing guides! If you’re lucky in signing up for clinics with any of these guides, you’ve scored big! 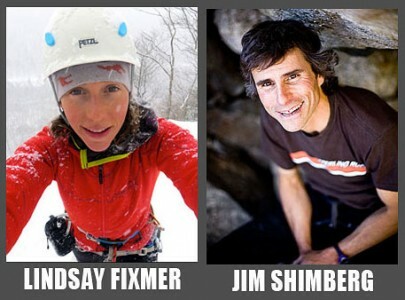 We want to send a big welcome back to Jim Shimberg, Alain Comeau, Lindsey Fixmer and Bob Baribeau! 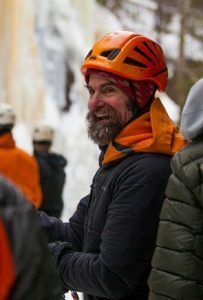 Jim Shimberg: Jim has over two decades of guiding experience and excels at rock climbing, ice climbing and mountaineering guiding and instruction for all skill and experience levels in New Hampshire, the rest of New England and many other of the country’s top rock and ice climbing venues. His smile and positive energy is infectious and we love having him apart of the event as he brings positivity and psyche wherever he goes! Alain Comeau: Alain’s love of people and the natural environment are expressed in his dedication to teaching climbing. He has been working as an instructor and guide since the early 70’s, climbing from New Zealand to Africa, and extensively in the European Alps. He is a wealth of knowledge and expertise, and is one of the best in the country! We’re honored to have Alain back! Lindsay Fixmer: Since her initiation into climbing in 1999, Lindsay has travelled to world-class climbing destinations and guides clients of all abilities on rock, ice and alpine climbs. While Lindsay loves rock climbing she excels as a technician on ice. From the ice meccas such as the Northeast, the San Juan’s in CO, Hyalite Canyon in Bozeman, MT; Cody, WY; to the stunning fjords of Iceland she brings her clients to their peak level of performance. Lindsey moved out west, and she hasn’t been able to make it back to the MWV Ice Fest for a couple of years. Thus, we are super amped this talented and awesome lady is back this year! Bob Baribeau: Legendary Maine climber & guide Bob Baribeau is back at the MWV Ice Fest this year. Bob is a passionate and enthusiastic guide and he is an avid outdoorsman. 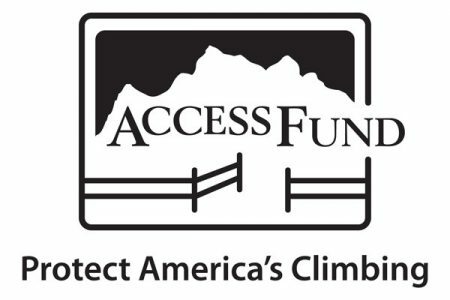 Bob has put up numerous first ascents throughout the White Mountains and is AMGA certified as well. Definitely count yourself lucky if he is guiding your clinic, another legendary New England climber and guide we are honored to have back at the Ice Fest! Ryan lives in Northampton Massachusetts and has been guiding in the United States, mostly in the northeast, for more than a decade and he is a AMGA Certified Rock Guide. Ryan has spent the past three years gaining additional training as an RN and recently graduated an accelerated bachelor of science in nursing program at UMass Amherst. 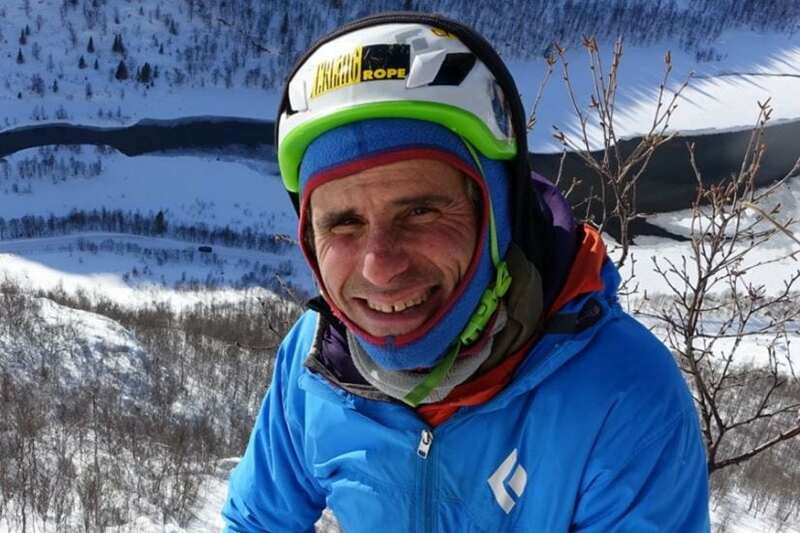 As a climber he has really focused on winter climbing and he has climbed extensively in the Catskills in southern NY and in the fjords of western Newfoundland. Ryan has established several first ascents in both areas over the past ten years. As a guide he is really focused on providing high quality instruction that helps guests learn comfortably and easily. Jim shim, the Hebrew fossilized guide (he wrote this! ), has been teaching rock and ice climbing since 1984, and lives with his wife Dawn and daughter Rose Montana, in Campton NH. Shim (as his friends call him) has been at it for the past 33 years! He’s been all over the world and has his name all over guidebooks for both rock and ice across New England. He’s a legend in these parts for both his rock and ice skills, but also for just being one of the most wonderful people in the universe. 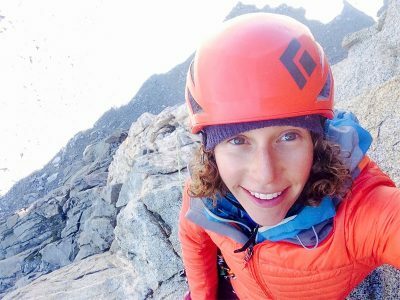 Did you know Shim made the first free ascent of the grade 6 ice climb ‘Call of the Wild’ at Lake Willoughby Vermont in 1995? This was the first grade 6 ice climb in New England! Called the “Custodian of Cannon Cliff”, Jim has cleared loose rock, developed trails and repaired poor anchors on the huge east face of Cannon Cliff, in Franconia Notch NH, for over 20 years. In addition, Shim is a Mountain Rescue Service “A” Team Member and participates in technical rescues throughout the White Mountains. He is also a Wilderness First Responder, and continues classes in medical training and rescue seminars. Jim is by far one of the nicest people you’ll ever meet. This makes him even better as a guide. Erik learned to climb while at Holderness School where he was able to explore the cliffs in Rumney, Franconia Notch and North Conway after school. From that point on climbing has been the focal point of his life. During college he had a rumspringa in Colorado and Wyoming, but still ended up setting down roots as a Yankee in his native New Hampshire, preferring humidity, mossy rocks, buggy summers and rainy winters to the Rocky Mountain high. Erik now guides part time for Mooney Mountain Guides and works full time for Holderness School, running the same climbing program that brought passion to his life as a high schooler. Off the cliffs he can be found enjoying various other outdoor pursuits, such as playing at homesteading and untangling fly lines while watching fish swim around him. Tim has been passionate about the outdoors his entire life. He is currently certified as an AMGA Single Pitch Instructor and has successfully completed the AMGA Rock Guide and Ice Guide Courses. He is also certified as a Level 3 ACA Coastal Kayak Instructor. 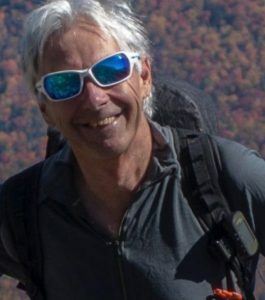 Certified as a New York state licensed Rock and Ice Guide, he is a Leave No Trace Master Educator, Wilderness First Responder and Association for Challenge Course Technology Level 1 Practitioner. He has been certified as a Swift Water Rescue Technician and has completed a level 2 American Avalanche Association course. Tim has led trips and expeditions across the country including in Alaska, Washington, Idaho, Maine, and Vermont. Tim has been a University and College teaching assistant and instructor for such courses such as; Intro to Ice Climbing, Glacier Travel and Crevasse Rescue, Intro to Mountaineering, Kayak Rolling, Swift Water Rescue, Intro to River Kayaking, Whitewater Kayaking, Intro to Coastal Kayaking and Expedition Coastal Kayaking. While living in Alaska, he produced a guidebook to Ice Climbs in Juneau, AK and holds first ascents of climbs in the area. In 2010, before moving to Vermont, he became a NOLS Instructor for Mountaineering. Tim has been working for Petra Cliffs since the summer of 2011 in many capacities. 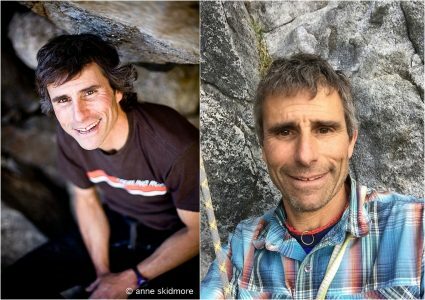 He is a rock and ice climbing guide and instructor, lead ropes course and teambuilding facilitator, and membership and Staff Manager. He is also the Coordinator of Vermont’s Ice Climbing Festival; the Smuggs Ice Bash. Smugglers Notch and Vermont has been home for the past several years and Tim has become intimately familiar with all of Smuggs’ nooks and crannies. He organizes Vermont’s Ice Climbing Festival, the Smuggs Ice Bash, and guide’s year round for Petra Cliffs in Burlington, VT. The more cold and desolate the objective or climb, the more he feels at home and in his element but Tim enjoys teaching the beginner to the advanced on all the intricacies of winter climber no matter their ability. Tim holds a Certificate in Outdoor Leadership from the University of Alaska and a B.A. in Outdoor Education and Wilderness Leadership from Johnson State College. Tim currently lives in Jeffersonville with his wife Naomi. Climb For The First Time At The Ice Fest! To all the folks who have NEVER tried ice climbing, but want to, this post is for YOU! 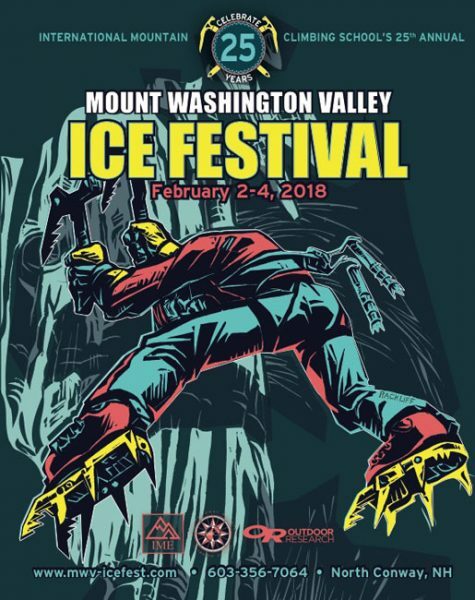 We have the clinic, Ice Climbing 101 that is the perfect fit for you to learn how to ice climb at the MWV Ice Fest. AND we have some amazing guides teaching them just for YOU! These guides are amazing teachers and also wonderful people. They will teach you everything from the ground up, and also make you very comfortable on on your first day of ice climbing! 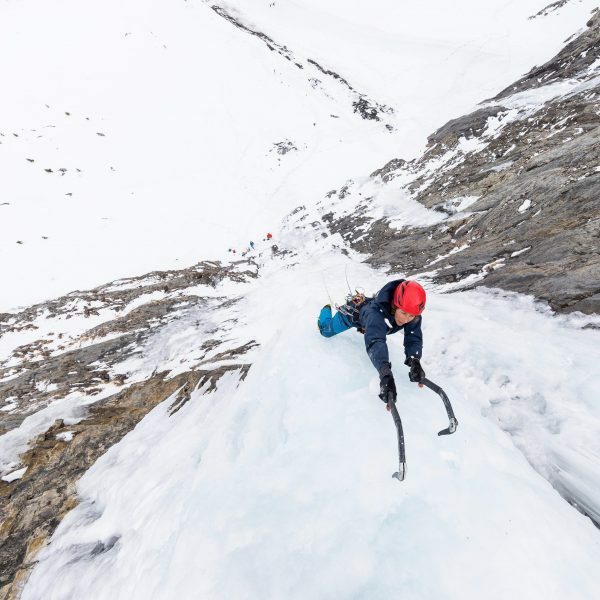 You’ll learn the safety basics of the climbing system, how to belay, how to walk and climb in crampons, how to select and use an ice axe and how to move over a variety of moderate to steep ice. 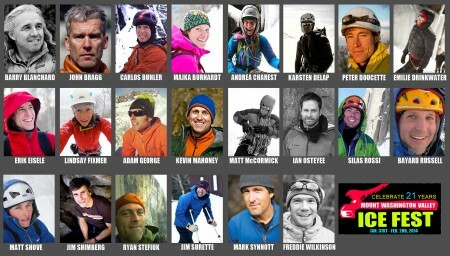 Below are all the Ice Climbing 101 clinics, and the amazing guides who are teaching them! We were so excited to fill you in this morning that LOWA athlete Carlos Buhler was coming that now we want to give a heads up on ALL the guest guides that will be at the 2014 Mount Washington Valley Ice Fest! We have our biggest line up yet of guest guides to date! These are some of the best guides and athletes in the country, and they will ALL be here for the Ice Fest, in New Hampshire, to teach amazing clinics and have a lot of fun throughout the weekend! 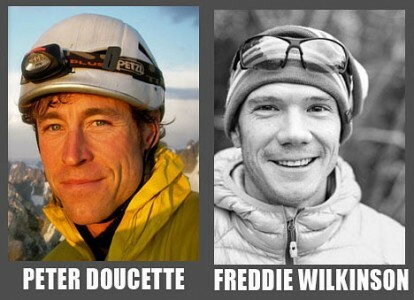 We are honored and humbled to have this roster of guides at the 2014 MWV Ice Fest. We are so psyched that there will be so much talent and camaraderie all in one weekend! 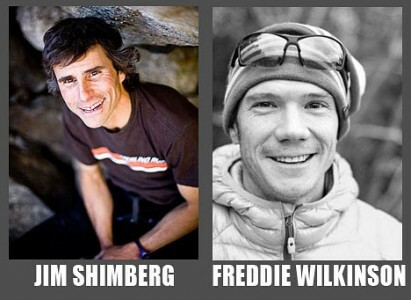 We can’t wait to have this crew join the stellar IMCS guides for a killer weekend! Start checking out the CLINICS to see what they are guiding! We will also be making posts leading up to the event about what they will be guiding as well! Ice Fest Guest Guides: Barry Blanchard, John Bragg, Carlos Buhler, Majka Burhardt, Andrea Charest, Karsten Delap, Peter Doucette, Emilie Drinkwater, Erik Eisele, Lindsay Fixmer, Adam George, Kevin Mahoney, Matt McCormick, Ian Osteyee, Silas Rossi, Bayard Russell, Matt Shove, Jim Shimberg, Ryan Stefiuk, Jim Surette, Mark Synnott, and Freddie Wilkinson!